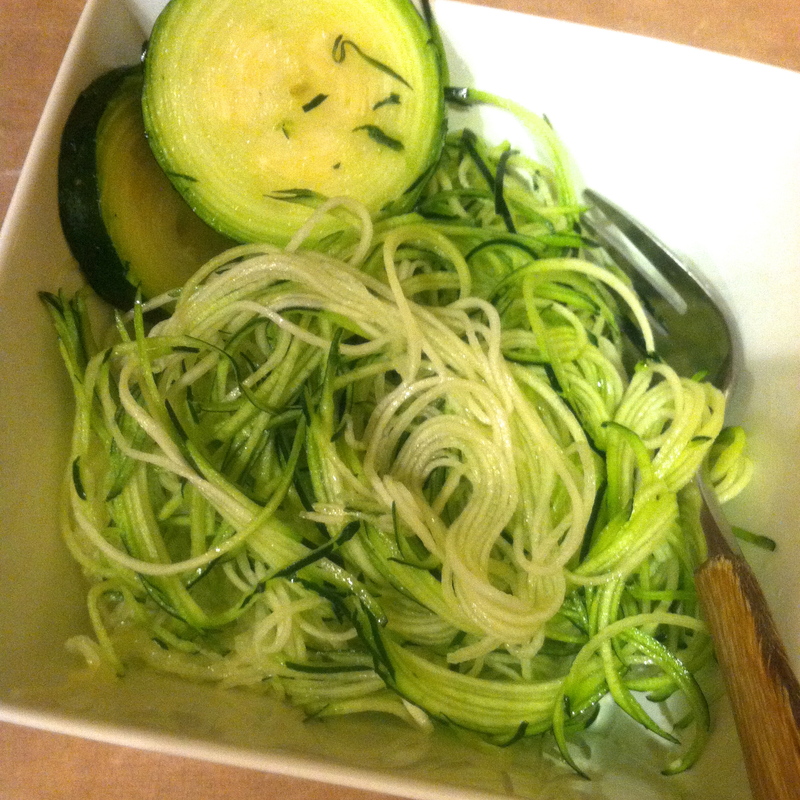 Use a vegetable spiralizer to cut the zucchini into noodles. There are many different types of spiralizers out there; my roomie obtained hers through amazon.com and the one I have at home I bought at Walgreens. Also, there are different thicknesses you can choose from. The noodles pictured were very thin like that of spaghetti squash, but feel free to use a thicker setting for thicker noodles. 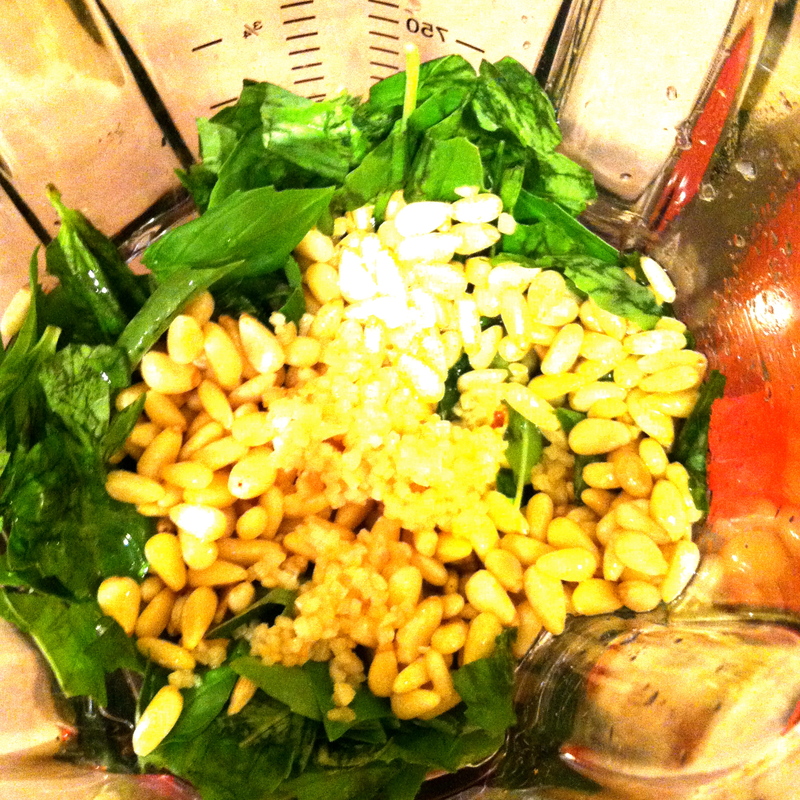 Place all remaining ingredients (everything minus the zucchini) into a blender or food processor and blend until combined. 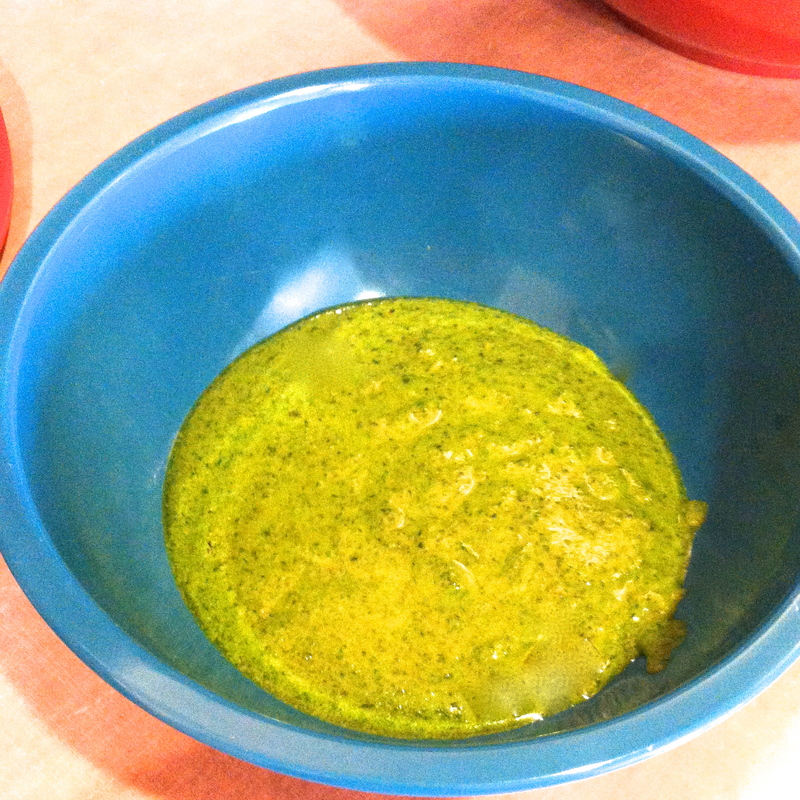 Some pestos are thicker and chunkier, this one is more of a creamy texture. 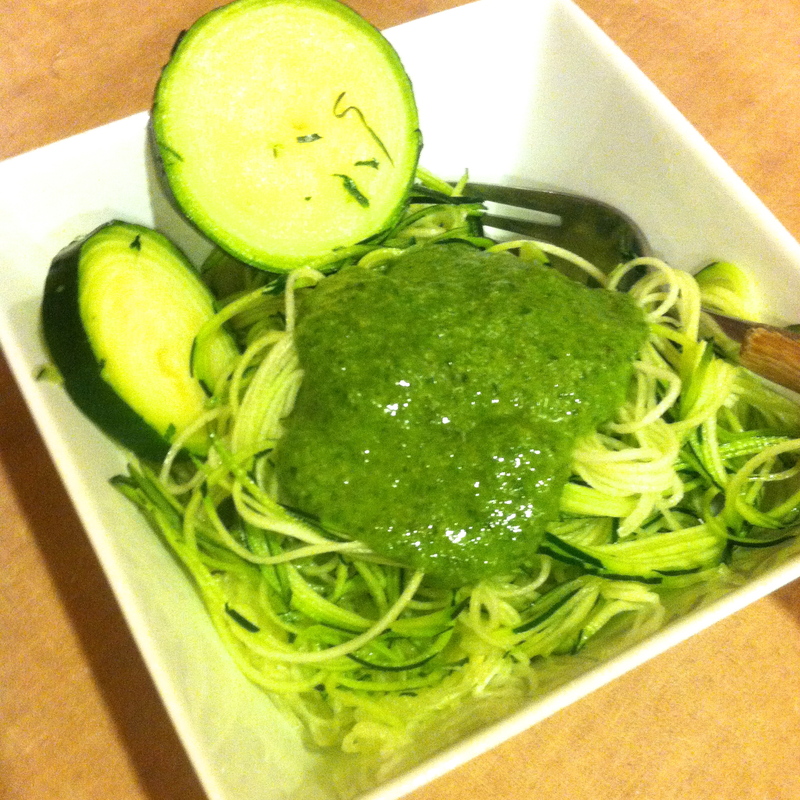 Top your preferred pasta (zucchini, wheat, gluten-free) with the pesto. 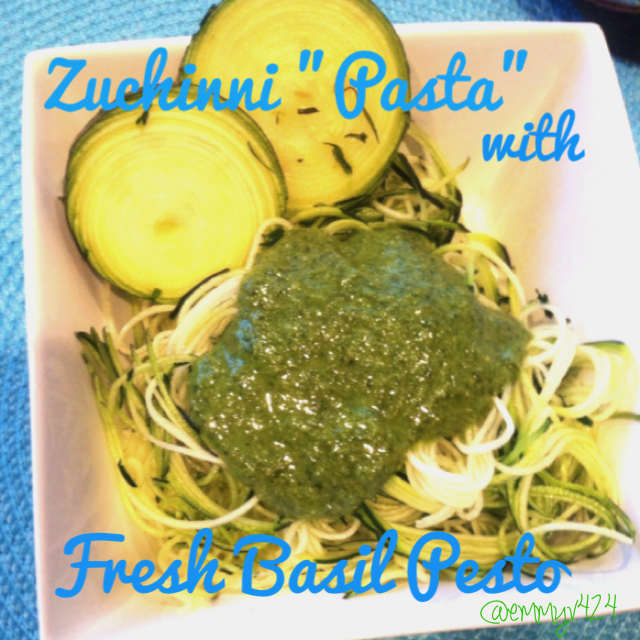 I got my mom a spiralizer for Mother’s Day and we use it all the time for zucchini pasta! I have been wanting to try this! How did the spiralizer work for you? It worked super well! It is very easy to use, both types I mentioned in the post! The one from Walgreens is a hand twist type and the Amazon one has a hand crank. I recommend either!